Firesafe Chimney Services is a full -service, family-run chimney company. They are dedicated to making the chimney systems of Central Massachusetts safer and more enjoyable. Divi modules like Testimonials, Contact Form, Fullwidth Slider, Blurbs, Gallery and Gravity Forms were used to build this website. 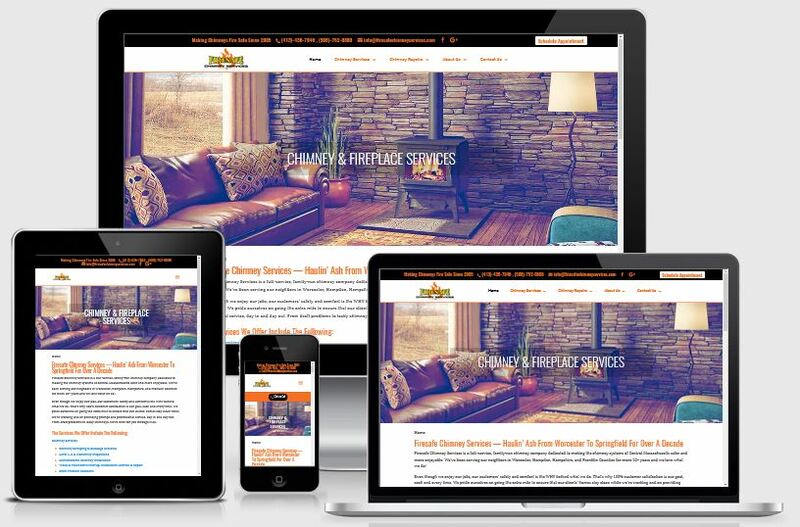 This is a responsive website for Firesafe Chimney Service, MA. Being a DIVI Project, the goals were to have a multi page website with primary, Secondary menu, CTA on the menu. Contact and Appointment forms were built using Gravity Forms. DIVI theme was used to build the website. Yoast SEO plugin was used for optimization.